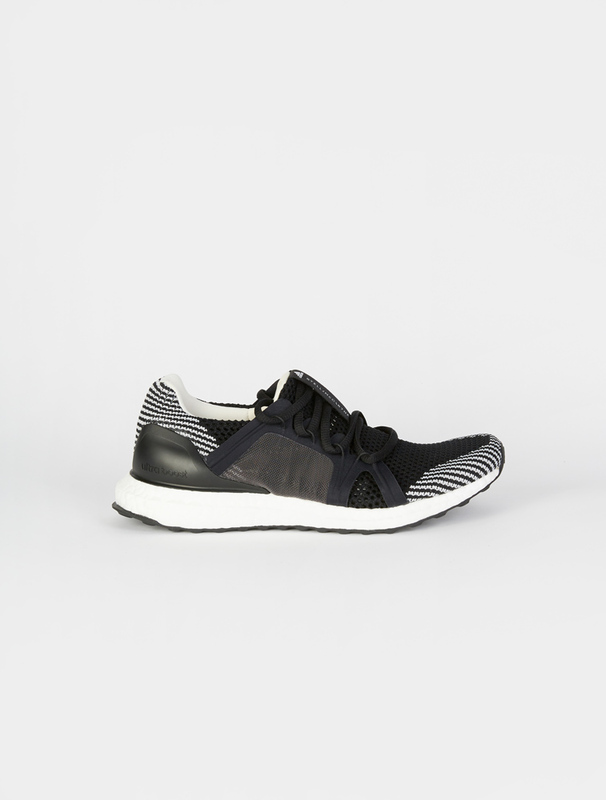 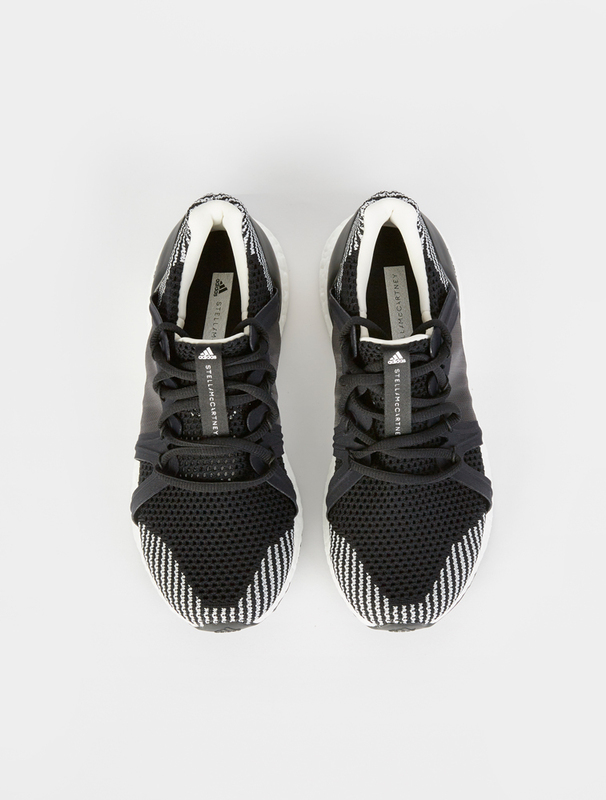 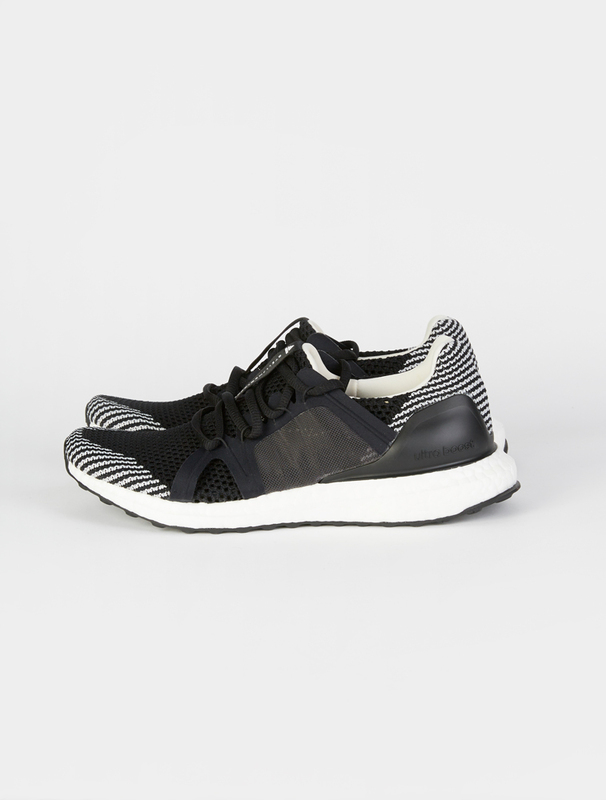 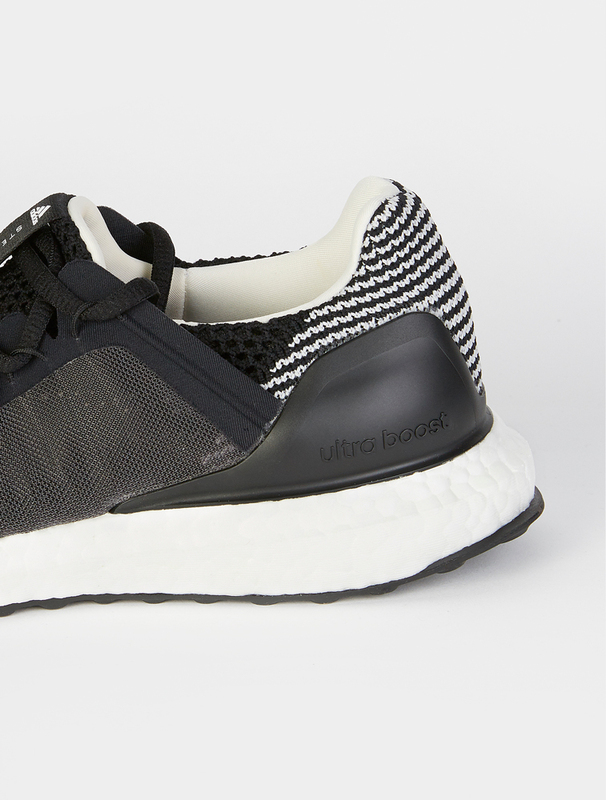 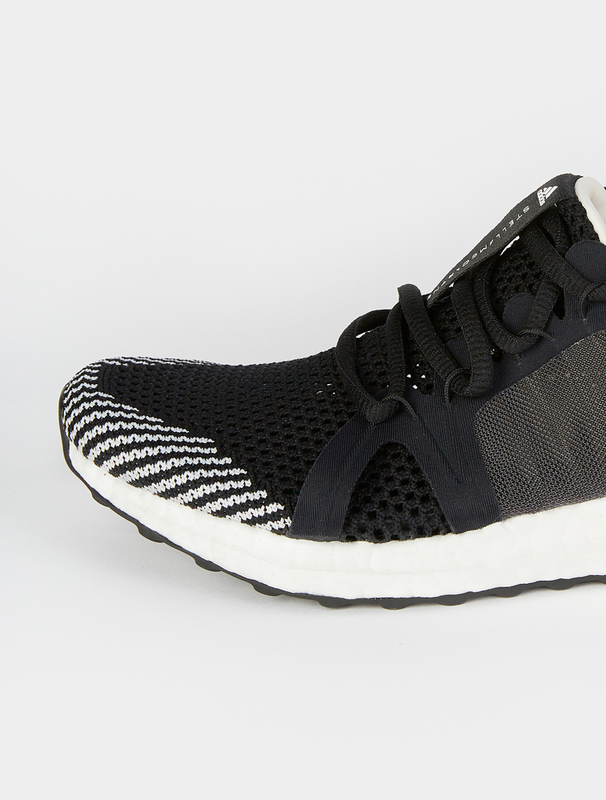 Adidas by Stella McCartney's signature running shoe is featured this season in black with stripe accents at the front and heel. 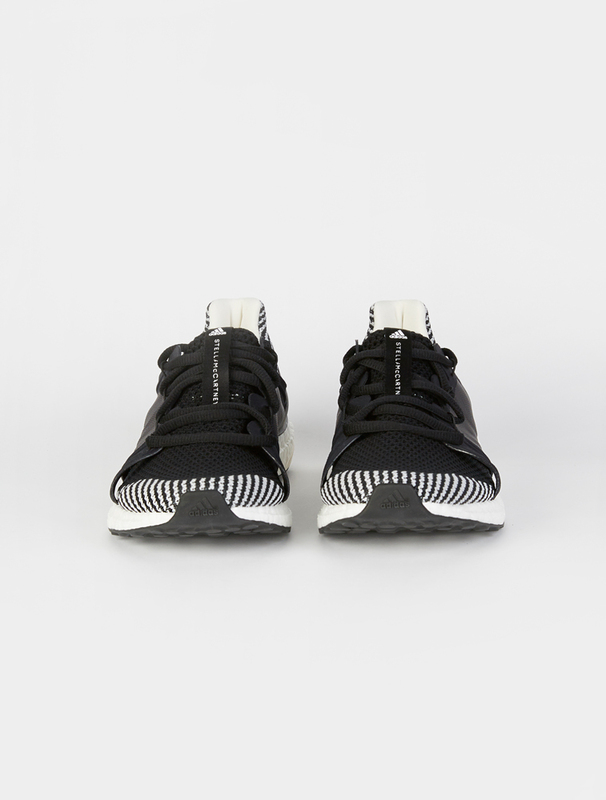 The stretch Primeknit upper hugs and adapts to your foot while the boost midsole offers responsive, energy-returning cushioning. 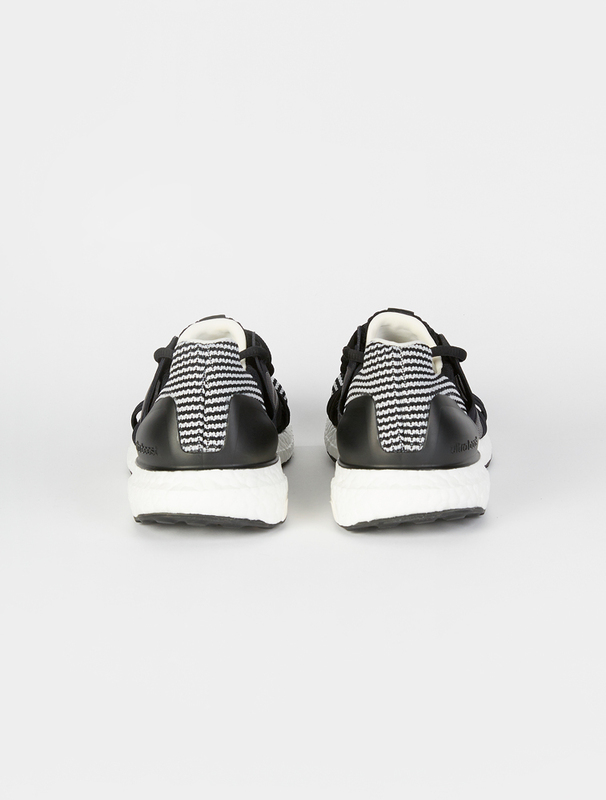 - Made from recycled materials in collaboration with Parsley - an environmental organization that uses plastic ocean debris in its production line.